Is the Nexus 4 about to get a little brother? We're not so sure. Google has only just announced a new range of devices, but already rumours are circulating regarding another, smaller smartphone, possibly called the Google Nexus 3. Only yesterday did we see the official announcement of the Google Nexus 4 smartphone, an LG manufactured handset offering up a 1.5GHz quad-core processor, powerful GPU, a 4-inch HD display and Android 4.2 Jelly Bean – all for the immensely appealing price of £239 ($299/AU$349). Now another Google employee has seemingly leaked details of an upcoming device on Google+, by posting images with some revealing EXIF data. 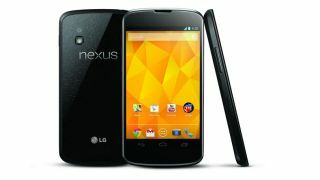 The images were posted by John Muller and the accompanying data suggests the device the snaps were taken on is known as the Nexus 3 – fueling rumours that a 3-inch smartphone is on its way, following on from the 4-inch Nexus 4, 7-inch Nexus 7 and the 10-inch Google Nexus 10. Muller reveals in a comment, "We get to test some things before they're launched, but for everything else, there's exiv2.org ." He then goes on to say "Just to be clear, the EXIF data here is modified. Sorry for the confusion :) "
It's an interesting move if the EXIF data was modified by Muller to read Nexus 3, potentially shielding an even more intriguing device from being revealed – or, of course, he could be taking us all for a ride. What do you make of this latest leak? Is Muller pulling our leg, or does he have some tasty kit which he's hiding from us? Let us know what you think in the comment box below.